In ninth grade, before we’d even lost our v-cards, my BFF and I had made a list of the the types of guys we wanted to sleep with before we settled down. We thought five was a good number. Just enough experience to keep our future husbands happy. Not so much that no one would want to marry us. And just to be sure we didn’t blow it and get all crazed, we made some rules and a list. Whatever our intentions, the list worked. While the rest of our friends were sleeping their way through school, we were more selective. We consulted with each other before taking action even on dates. I didn’t lose my virginity until I was nineteen. Now, I was twenty-two and I was down to my last option on the list: the rock star. It seemed highly improbable, bordering on impossible, until Noah Baxter ducked into the library to avoid some rabid fans and literally ran right into me. We exchanged names and numbers before he ran off because now I had plans and I was all about romancing the rock star. If he was as good as I imagined, then I might even try to keep him. I have a hotel empire to build. She has memories of her parents to hold on to. Who will win this battle over a motel in the Australian surfing town of Byron Bay? As director of a hotel group, my job is to acquire holdings to build my real estate empire. I’ve identifed my latest target: the Ocean Surf Motel in Byron Bay, Australia, which I want to knock down and rebuild as a luxury condominium. The owners won’t sell, but that doesn’t deter me—I jump on a plane to Australia a few weeks before Christmas. But the Morrison family isn’t selling the Ocean Surf. Not only am I thwarted by that, but I’m physically frustrated over a pretty, long-haired surfing instructor named Summer. I’m determined to win her over, and have a hot holiday fling with this Australian surfy chick. But what I didn’t count on was the connection between the motel and Summer, and the choices I’d have to make as a result. Lust or love? The motel or Summer? I can’t have everything…or can I? I’ve come to England for Christmas, searching for a fresh perspective in my career as an artist. She’s trying to get over the pain of betrayal and loss. Can I convince her to take a second chance on love? On my way to England, I find a letter with a strange address: Tamsin Willoughby, Cold Christmas. It turns out that Cold Christmas is a real place with a haunted church, and curiosity piqued, I decide to visit and deliver the letter by hand. Tamsin is a shapely blonde school teacher who’s chillier than the weather. She’s been jilted at the altar, and the letter I carry stirs up her pain and makes her wary of me. I try to convince her to trust me, because I’m determined to get to know this beautiful English rose. But what I don’t expect is the connection Tamsin makes between her runaway fiancé and me. Can I convince her I don’t know him, and that she should spend the holidays staying warm with me? I thought I wanted to broaden my horizons. But now what I want is right in front of me. Two linked Christmas novels in one handy box set follow the romances of Reef and his sister Summer, Australians from Byron Bay, Australia. The novels are set in varied locations, starting with a hot Christmas in Byron Bay, Australia (Summer’s romance, Christmas Kisses Down Under), and moving to London, a village called Cold Christmas in England, and Paris, France (Reef’s romance, Hot Kisses in Cold Christmas). Annabelle is a hard-nosed writer with a sound marriage, a thriving career at Adorn magazine and a busy social life. She has only one ambition—to be the best-known advice columnist in the UK. When her world is turned upside down by her husband’s infidelity she strikes out on her own and answers an ad to flat with Christian, a jet-setting businessman. As Annabelle begins to settle she sees things in her new house aren’t quite what they seem and her problems begin to mount. Can Annabelle find happiness again, while helping Christian find what’s missing from his life? Madonna Smith hates her dysfunctional life in Liverpool. She leaves home, cuts herself off from family and friends, and reinvents herself in London as girl about town Madeleine Smythe-Hamilton. She has a great job on a trading floor, a rich and successful fiancee, and a fantastic social life. 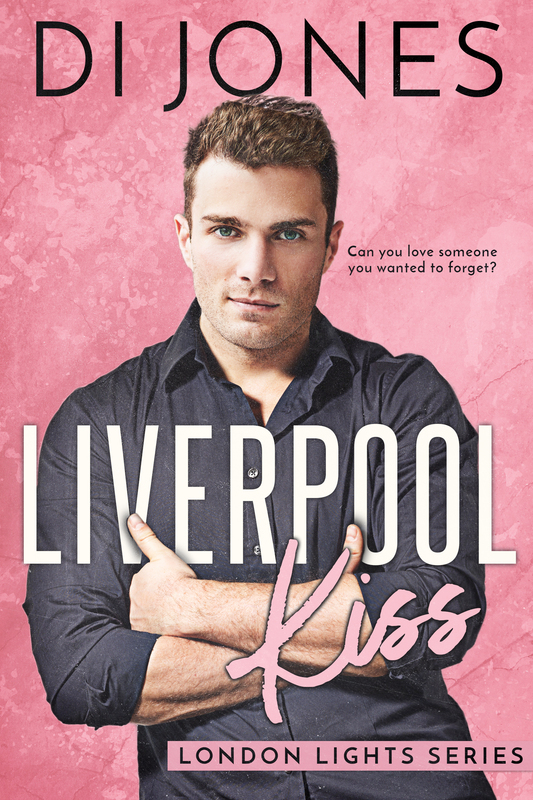 George Davies, a handsome young fireman from Liverpool, is from Madeleine’s past. 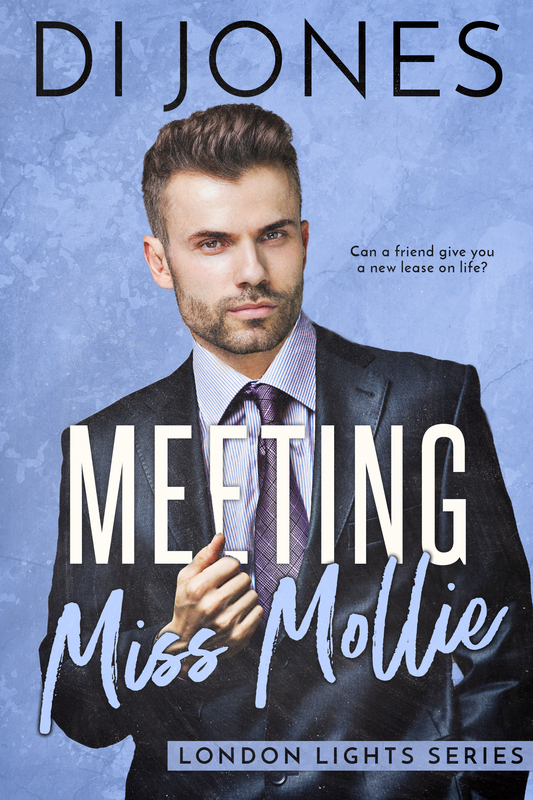 When he moves to London and they meet after many years, can this down-to-earth fireman and social climbing pretender have anything in common? And can you love someone you wanted to forget? 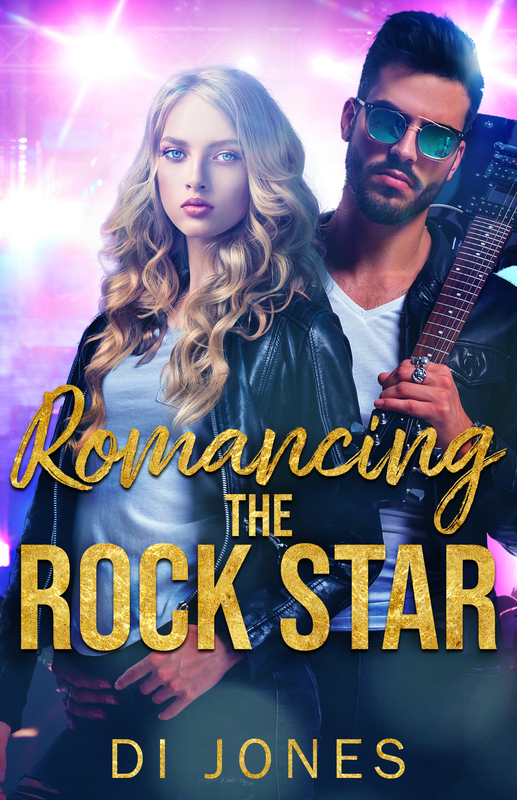 Anna James can’t believe her luck when she spots a reclusive rock star while on holiday in Italy. Dreaming about how her candid photos will boost her standing at the celebrity gossip magazine where she works, she falls and breaks her leg. Tom Smith, an up and coming musician, is nursing a broken heart when he witnesses Anna’s accident. Before either knows what has happened, his heart is healing and he is playing nurse to Anna. It would be a storybook romance, but each believes the other is someone they’re not. When the truths about their identities are revealed, it tests the limits of their growing attraction. Can they overcome their prejudices and see each other as they really are? And can love grow from deception and lies? 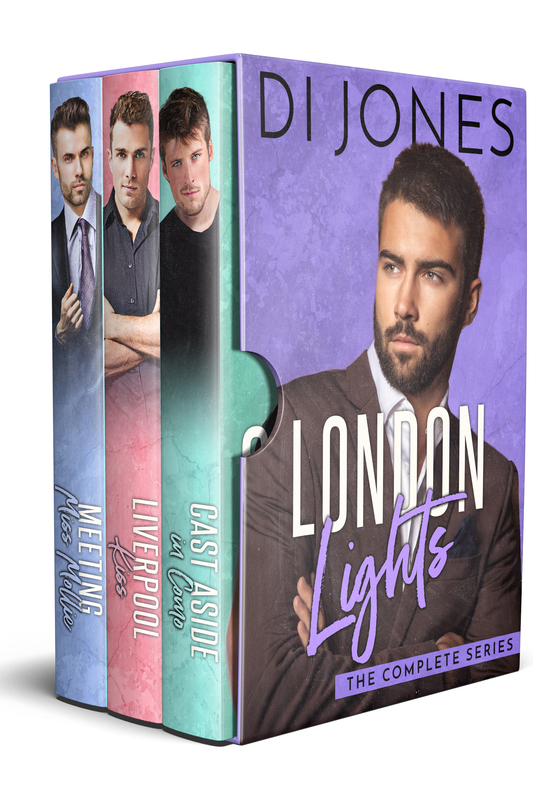 The London Lights series of contemporary British romances feature lies, loss, loyalty, and love. Each of these entertaining and heartwarming romances is a standalone but interconnected story with a separate couple, a guaranteed happily ever after, and no cliffhanger. Tessa Taylor is a college student with small problems and big dreams. Her dream is to make it big as an actress in Los Angeles. But even though she’s studying acting, she can’t get any traction in her bid to get a job in LA, where all the auditions are. Until the week when things unexpectedly begin to change. Some news in her acting class leads to an exciting opportunity, but chance meetings might compromise her luck. Does Tessa have what it takes to shine in the audition? Twenty-one-year-old Tessa Taylor drops out of college and leaves her home in Washington, DC, to pursue her lifelong ambition of becoming an actress, but her decision comes at a price. Tinseltown is tough, stardom elusive, and LA exorbitantly expensive. When her dreams crumble, Tessa struggles. When a fortunate coincidence leads her to a job she never thought she’d do—dog walking—exciting adventures begin, and a new life, and love, unfold. Why isn’t Tessa happy? For starters, she’s been flopping at auditions, and her boyfriend isn’t as supportive of her acting career as she’d like him to be. When she meets wild-boy rocker Ash Adams, she can’t stop thinking about him, but is he the man she really needs? 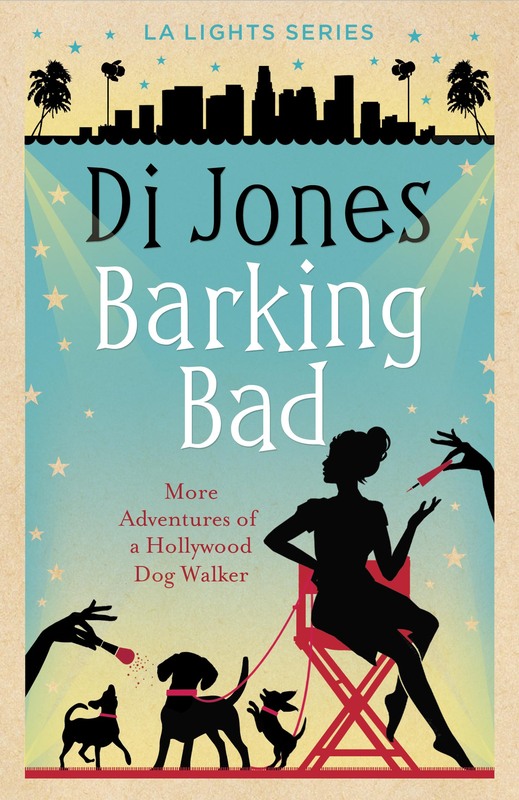 Meanwhile, her dog-walking business leads her to danger. She ends up playing a part in breaking up a ruthless dognapping ring, culminating in a late-night mission to an abandoned asylum and a dramatic shootout in the LA River. Holly Oakwood’s cosy life is shattered when her boyfriend has an affair with her best friend. Determined to mend her broken heart she leaves London and lands a dream job in a Consulate in LA, but that’s when her troubles really begin. Guy Cutler is an attractive widower, whose role as a diplomat means he is assured, articulate and adaptable. He is career driven, and love isn’t on his agenda, because knows he can’t replace the woman he lost. Can this unlikely couple find love together? Tessa’s at a crossroads in her acting career and personal life. When ruggedly handsome company director Edward Wentworth asks her to represent his skincare line, she’s flattered. Despite turning him down, circumstances lead Tessa to reconsider Edward’s offer. But is this the opportunity of a lifetime, or a folly that will ultimately lead her to danger? After discovering Edward has a horrifying secret, Tessa faces a decision, and it’s the toughest one of her life. Will her decision put her in harm’s way? Whatever she decides, Tessa and her friends are in for another wild ride in book five of the LA Lights series. 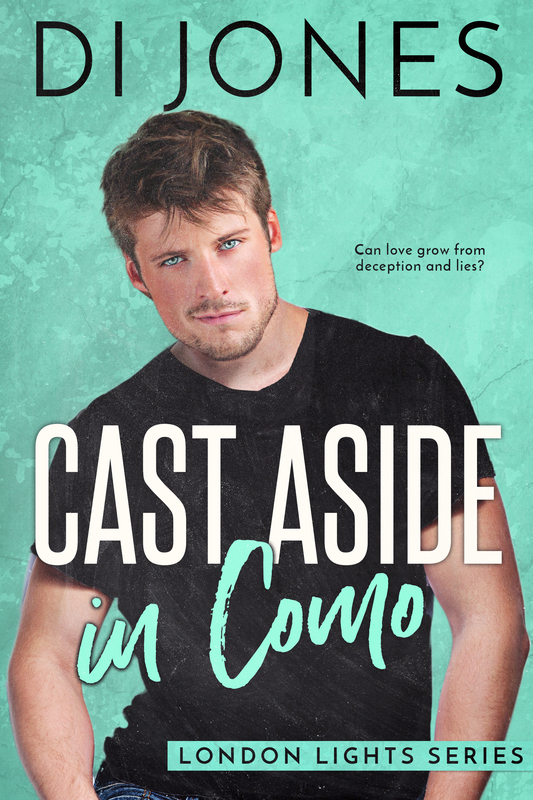 Since being kidnapped, locked up and nearly murdered by the ex-boss she exposed on national TV for testing his all-natural cosmetics line on animals, aspiring actress Tessa’s life has been in turmoil. Her boyfriend Ryan asks her to leave LA and travel to San Francisco with him, and she accepts. But she doesn’t realize the power of her newfound celebrity, and offers of work in LA start pouring in. She’s committed to staying with Ryan…or is she? Tessa gets an acting offer that’s too good to refuse, putting a huge strain on their relationship. How does she handle this dilemma? And will her new role lead her straight back into the path of people she wanted to avoid at all costs? This box set contains the first three books in the series. 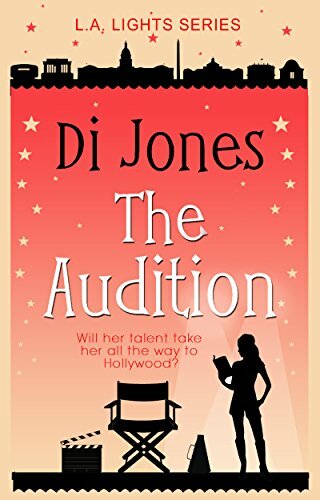 In book one, prequel novelette The Audition, we meet Tessa Taylor, a twenty-one-year-old college student from DC whose dream is to be an actress in Hollywood. 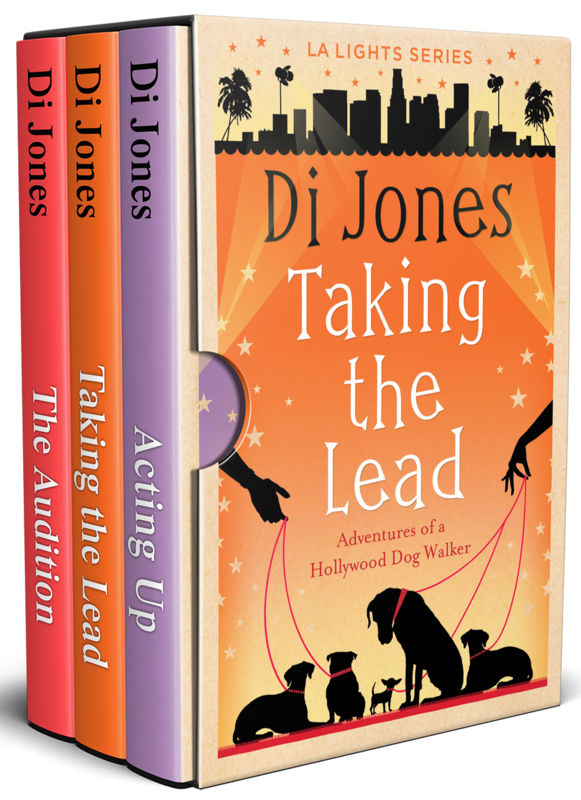 In book two, Taking the Lead: Adventures of a Hollywood Dog Walker, we follow Tessa as she moves to LA and finds a new life. 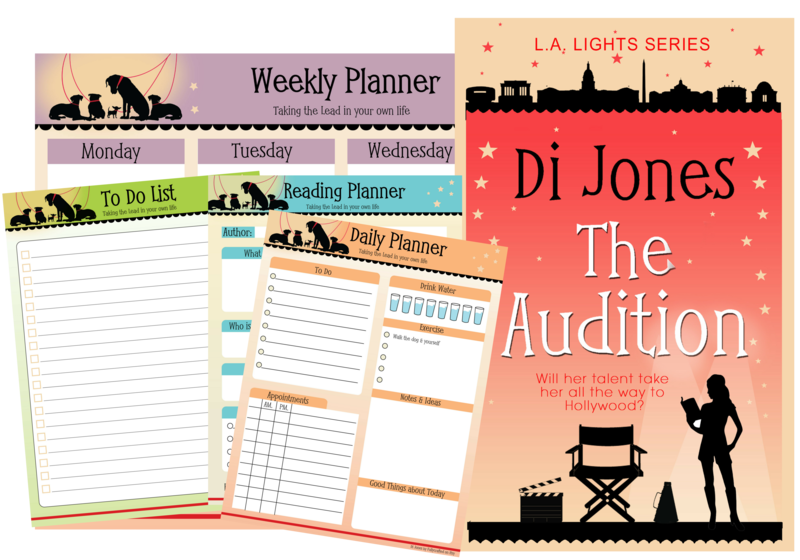 She pursues her acting ambitions, but finds she needs part-time work to pay the bills. 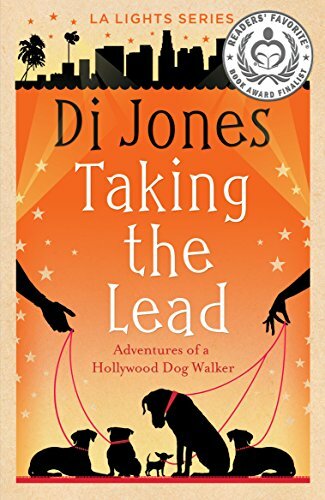 It’s this work—as a dog walker—that leads her to fun friendships, romance, and adventure. 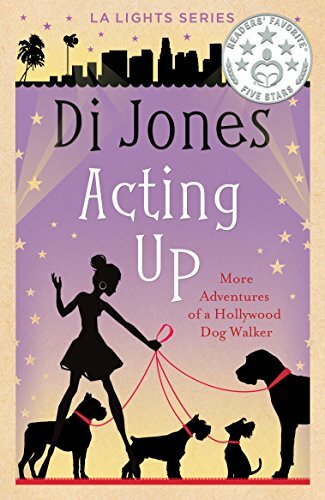 In book 3, Acting Up: More Adventures of a Hollywood Dog Walker, Tessa finds that as she focuses on her acting career, she’s catapulted into a further adventure. This box set contains books four to six in the series. 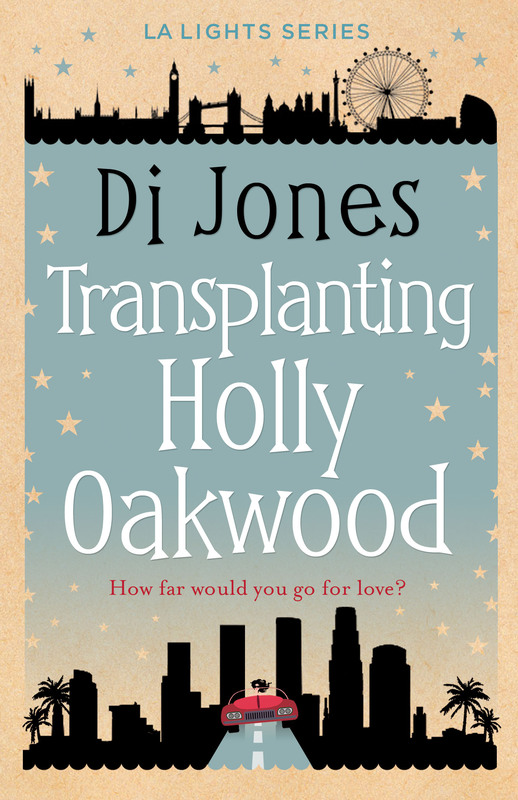 In book 4, Transplanting Holly Oakwood, we meet Holly Oakwood who has left London, and her disastrous love life behind. She finds a new life in LA and her story intertwines with Tessa’s. 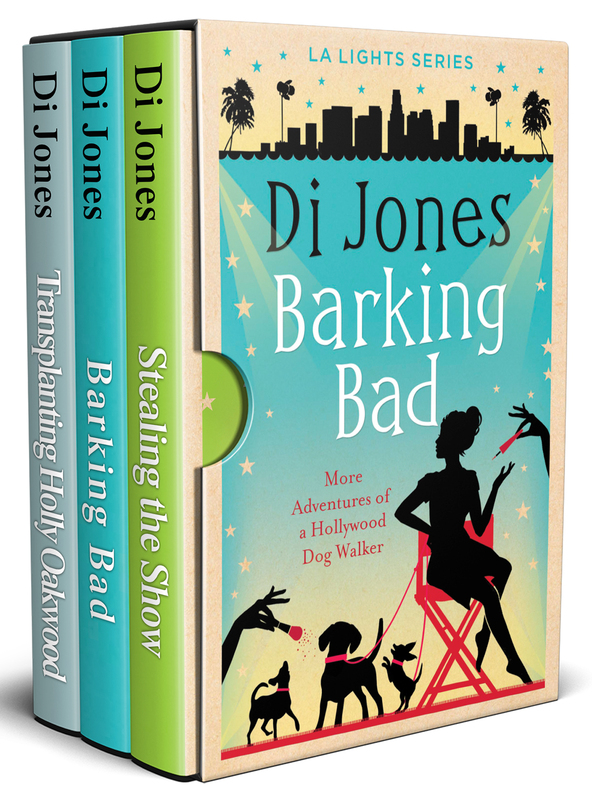 In book 5, Barking Bad: More Adventures of a Hollywood Dog Walker, Tessa is at a crossroads in her acting career and personal life and takes up a new opportunity, one that leads her to danger. 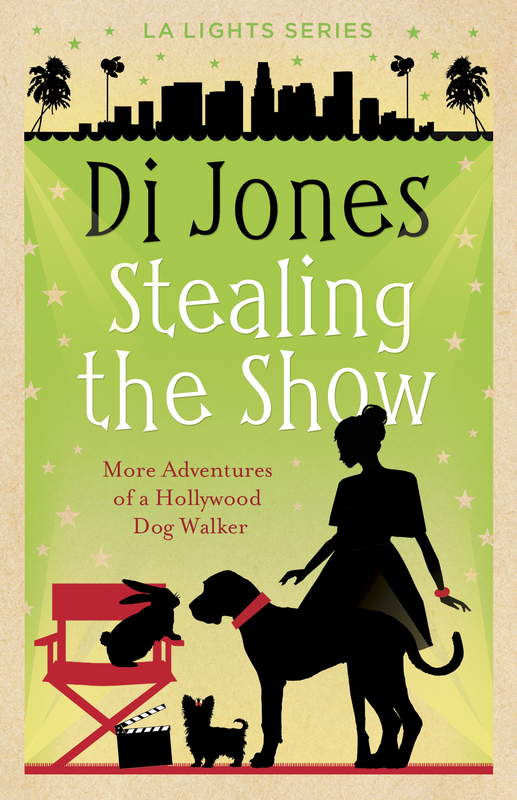 In book 6, Stealing the Show: More Adventures of a Hollywood Dog Walker, Tessa enjoys newfound celebrity but it leads her into further adventures. 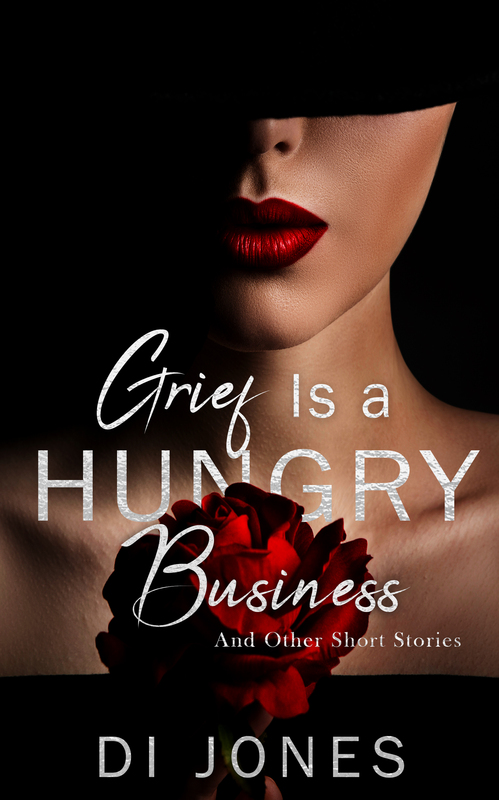 These five short stories explore the themes of love and loss. They cover a span of age ranges, and countries, and are perfect short reads for on the train, or bedtime reading. My books are light hearted and humorous stories for and about women who value their families, friendships, careers, and independence; who have a sense of adventure; and who live and love with passion. Did I say they also love dogs? Like my characters, I love my family and friends, beautiful shoes, anything sparkly, the ‘occasional’ drink, parties, and a good belly laugh. I’m addicted to shopping, chocolate, bubble bath and anything else that smells nice, and TV programmes you’d never publicly admit to watching. 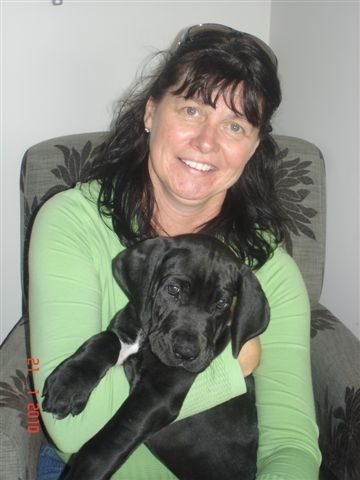 I live in a lovingly renovated farmhouse overlooking Auckland’s beautiful Waitemata Harbour, with my trusted Great Danes Dolce, Gabbana, and Armani, and their two cats Charlie and Jamie. The dogs keep me fit and exercised, scare the burglars away, sit loyally by my side throughout my late night writing sessions, and hang on my every word when I read final drafts aloud. They truly are my biggest fans, and I theirs. The cats, on the other hand, hang out by themselves and ignore the dogs and me. I love my life, but not so much that there’s not room to live a load of other lives, through the hearts and minds of my characters, all of whom I adore, and some of whom I’m fortunate enough to call friends. Read my blog for details of new and upcoming releases, competitions, offers and giveaways. It’s nearly May. How are those New Year’s resolutions working for you?